Planning for sustainability is the defining challenge of the 21st century. Overcoming deeply ingrained economic and cultural patterns that result in resource depletion, climate instability, and economic and social stress requires holistic problem solving that blends the best scientific understanding of existing conditions and available technologies with the public resolve to act. 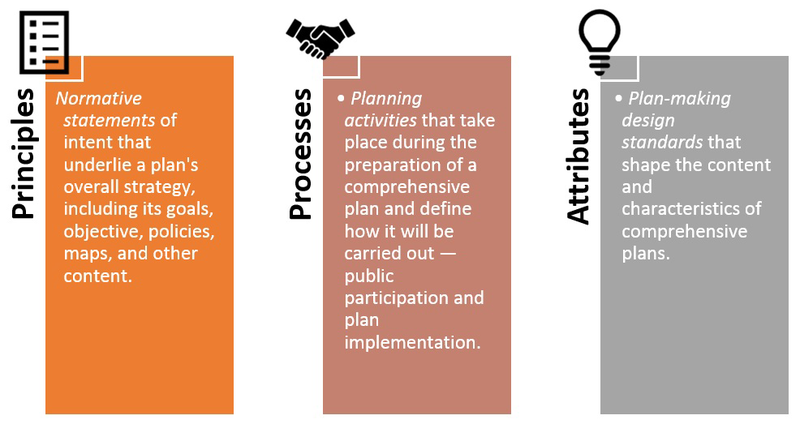 Planning processes allow communities to look past immediate concerns, evaluate options for how best to proceed, and to move towards a better future. The Comprehensive Plan has the legal authority to act as the vehicle for guiding community development, the scope to cover the necessary functions and facilities, and the history of practice to inspire public acceptance of its policies. Planning can provide the necessary analysis, the requisite communitywide reflection and education, and the momentum required to respond to these monumental challenges (Godschalk and Anderson 2012, 7). 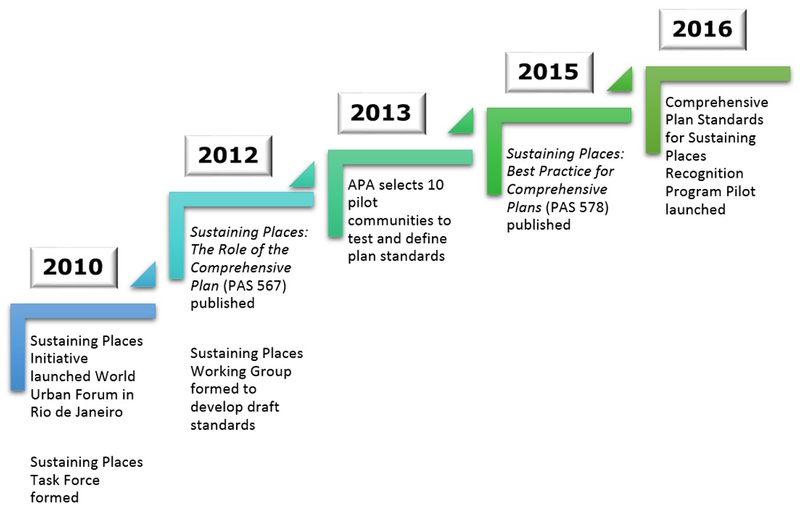 This focus on the comprehensive plan as a vehicle for addressing sustainability challenges led to APA's work in developing the comprehensive standards. The Comprehensive Plan Standards for Sustaining Places provide a set of recommended planning practices to serve as a resource for the preparation of local comprehensive plans. Sustaining Places: Best Practices for Comprehensive Plans offers a framework with standards for creating livable, healthy communities in harmony with nature — communities that have resilient economies, social equity, and strong regional ties. Four steps show how to turn those principles into a plan and score the results. Insights from 10 pilot communities add the real-world perspectives of big cities, small towns, and everything in between. 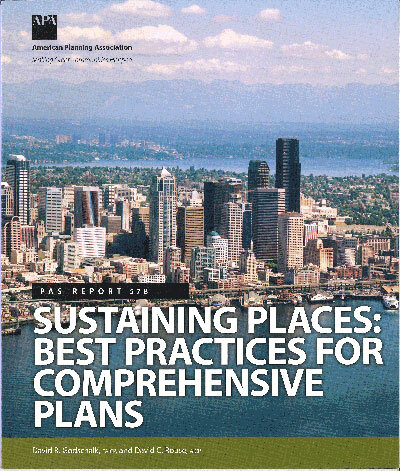 APA is in the process of developing a Comprehensive Plan Standards for Sustaining Places Recognition Program. This will be a voluntary program for recognizing communities that are integrating sustainability into their comprehensive plans. Two pilot phases of the Recognition Program took place in 2016 and 2017. Four communities — three additional communities and one of the pilot communities — with adopted comprehensive plans agreed to test the standards and the proposed designation system on their plans. These communities evaluated their plans against their comprehensive plan standards scoring system.